Simple and sturdy, this small bar height table is a great fit for an entertaining area or for a breakfast spot in a smaller home. The sturdy base is constructed with metal and finished in matte black. The table top is made with solid bamboo and finished with dark elm veneers. 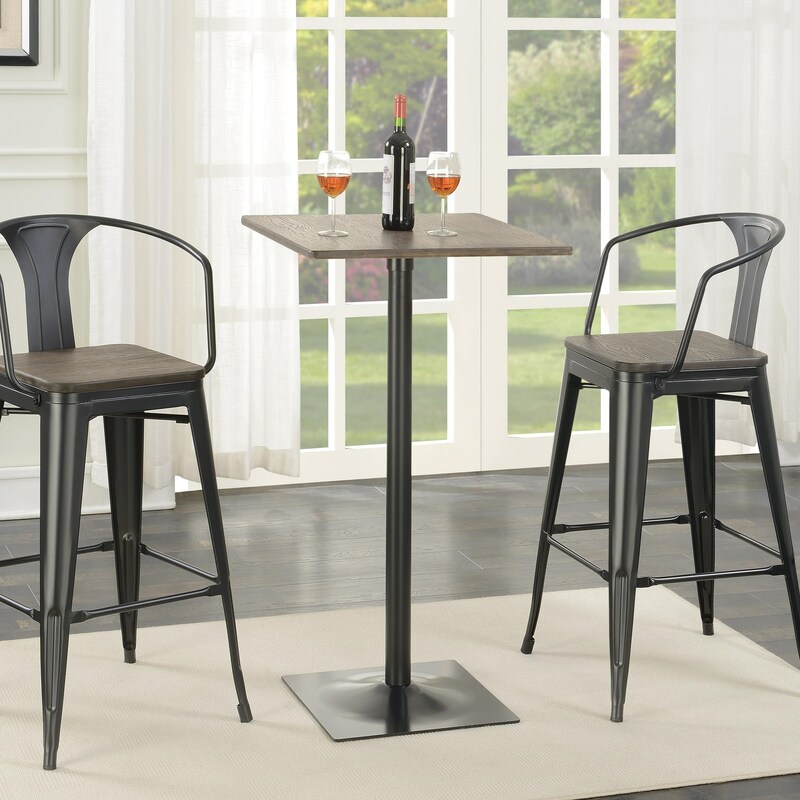 Pair with the matching bar height stools. The Bar Units and Bar Tables Industrial Bar Table by Coaster at Value City Furniture in the New Jersey, NJ, Staten Island, Hoboken area. Product availability may vary. Contact us for the most current availability on this product. The Bar Units and Bar Tables collection is a great option if you are looking for Contemporary Contemporary furniture in the New Jersey, NJ, Staten Island, Hoboken area.